The original complete recovery product in a single serving sachet. Chocolate flavoured recovery drink powder in a single serving sachet, perfect for easy measuring and simple storage. 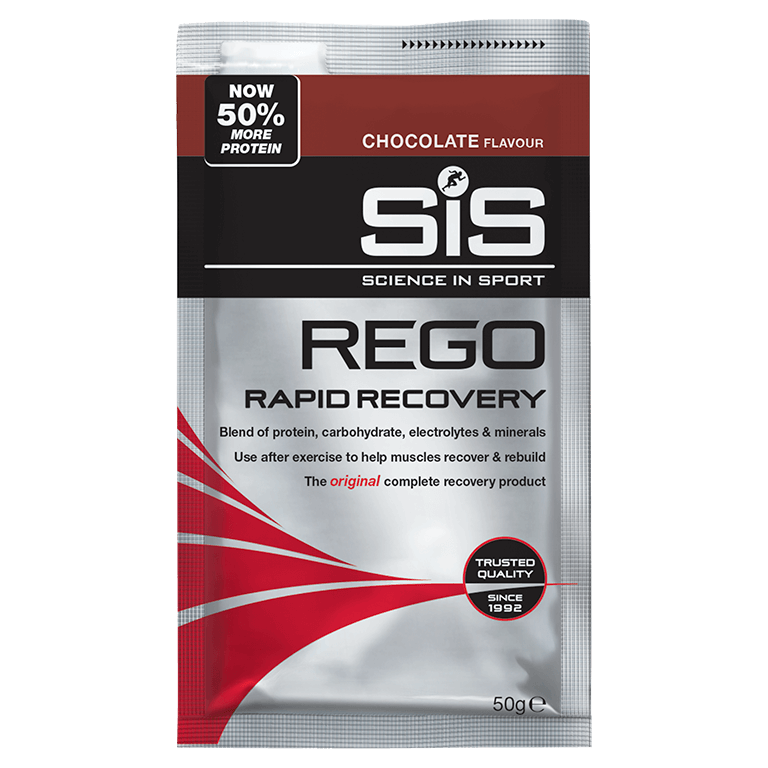 REGO Rapid Recovery is a complete recovery product to be consumed immediately after exercise. It contains a blend of carbohydrate (22g), protein (20g) and electrolytes with vitamins and minerals. REGO Rapid Recovery should be consumed within 30 minutes of stopping exercising after short, intense sessions and prolonged endurance sessions. Use REGO Rapid Recovery when the aim is to replenish carbohydrate energy stores and take on protein for rebuild, Whey Protein contains a lower level of carbohydrate. REGO Rapid Recovery contains soy protein isolate, which is made from the de-fatted beans leaving a high quality protein source and a full amino acid profile. REGO Rapid Recovery contains vitamin D, which is derived from animal sources. REGO Rapid Recovery contains 20g of protein.